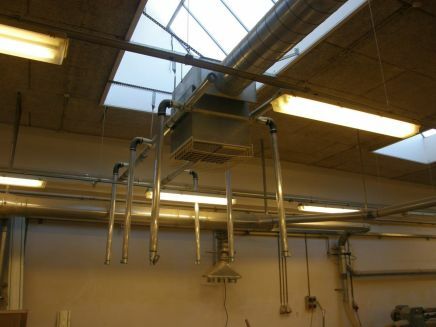 Prima-vent A/S have a service agrement with Aarhus Tecnical School that fit the specific needs of the customer. The service agreement includes service checks, repair work, spare parts as well as noise and air measurements. Servicecheck: - A written report on our system status. Repair work: - Exchange of worn and damaged parts. Spare parts: - At special prices. Noise measurements: - We check if the system complies with current regulations. Air measuring: - we check that the system provides the prescribed amount of air. The school was founded in 1828 under the name ”Prinse Frederik Ferdinands Tegne- og Søndagsskole”. Since the foundation the school has grown considerably from 25 students to approximately 30.000 students today engaging in wide range of educational offerings.